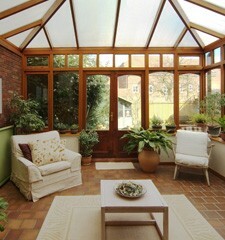 We have been serving Halifax with their superb windows and conservatories for over 25 years. Whatever the size of the job, we can deal with all of your needs, including uPVC doors, bi-folding doors and conservatories. We carry out all our work to the highest of standards and at a price that suits every budget. We never use pushy salesmen and we listen to your individual specifications, designing double glazing, bi-folding doors and conservatories to suit your home and lifestyle. The price you are quoted will never change and our customer service team are always on hand to help. If you are after a company who care about their customers and go the extra mile, we're the company for you. Our professional tradesmen are highly trained and have years of experience. All our work comes with insurance backed guarantees, giving you the peace of mind that your home is in safe hands. Our specialist team are waiting for your call. Ring our Halifax office for free on 0800 011 4195.